Andrea relocated to Seattle from Colombia 9 years ago. In Columbia, she worked as a Project Engineer for a government entity on the acquisition of land for water resources protection. Since arriving in Seattle, Andrea has worked as a volunteer for Microsoft’s Family Network, helping employee partners integrate into their new society by creating programs and organizing events. She later joined Google first as a contractor, and then as a full-time employee in 2014. Andrea is currently a Program Manager responsible for keeping Google Maps updated around World Events. Andrea has two extremely active kids 2 and 4 years old, who keep her very busy every day. She is naturally passionate about music, given her cultural background. She loves dancing, working with her church and the Catholic Radio station. She is also passionate about health, nutrition, languages (speaking Spanish, German, French and English) and cultures, religion, and community work in general. 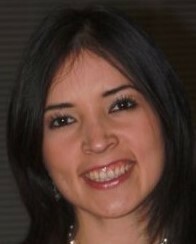 Andrea holds a degree in GIS Engineering from the Universidad Distrital Francisco José de Caldas in Bogota, Columbia. After President Chris Boland opened the meeting, the invocation/pledge was led by Jenny Andrews. John Schwager than introduced the visiting Rotarians and guests. The October Student of the Month was Lifia Camila from Sammamish High School. Lifia has participated in the Junior Honor Society, been an excellent student and performed many hours of community service. She wants to pursue a career in nursing. Goodbyes were sent to Sam on her last day working with the BBRC. She hopes to have a career in childcare. Adoption Party: President Chris reported on the Adoption Party, and Girish thanked all of the volunteers who made the event a success. Tim Leahy was the Sargent-at-arms and gave the members a chance to fill the coffers with happy bucks. Adam Mihlstin requested volunteers for Rotary First Harvest held on Saturday, October 13. Our newer member, Stephanie introduced the speaker, Andrea Madero, who works for Google as a Program Manger for Google maps. Andrea about the improvements and challenges in Google Map. Many new changes are occurring which you will see soon. These include 3-D modeling, indoor mapping, and events that are happening along your route. President Chris Boland closed the meeting at 8:30.